Northern Ireland start-up, Connected Care Solutions, founded by local entrepreneur Deepak Samson, is set to make a big impact on the ageing population with Ethel, the elderly care smart hub, which is now being used by the Shetland Islands Council, under the EU-funded RemoAge project. Ethel is an innovative touchscreen tablet that allows families and carers to stay in touch with their elderly loved one, via use of an ‘always-on’, large touchscreen tablet. The tablet has a simple to use interface, specifically designed for those unfamiliar with technology that allows an older person to contact a pre-set list of contacts like family members, a carer or doctor simply by tapping the screen. Ethel also allows additional functionality such as medication reminders, when to do exercises, etc. and can also send instant SMS alerts to family or carers if a user fails to respond to medication prompts. 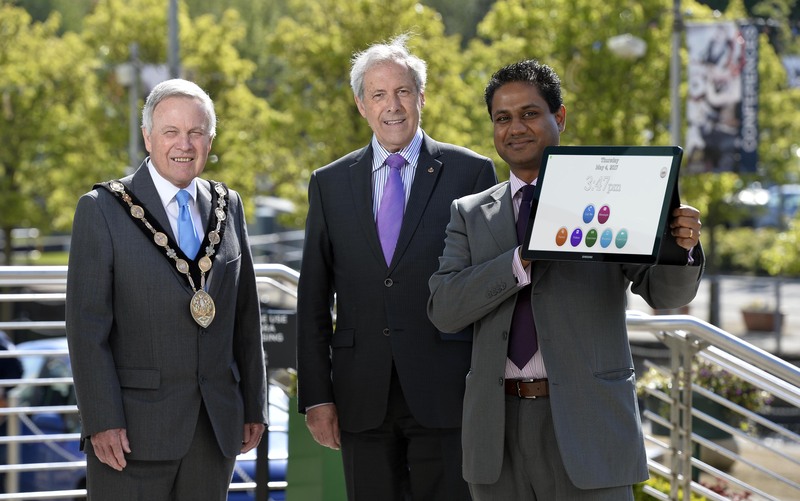 Deepak is supported in his efforts to grow his suite of innovative products and enhance his export capability through the Lisburn & Castlereagh City Council’s Business Support and Investment Programmes and also through Invest NI.